Boost Your Bench Press With This Cutting-Edge Study! Say goodbye to random approaches to boosting your bench-press strength. This weekly 3-phase model, proven with experienced lifters in the gym, is now yours for the gains! If you're like most guys in the gym, you probably wouldn't mind throwing up a few more pounds on the bench press. OK, let's be honest: You'd probably love to build stronger pecs and bench more weight, but hitting those goals isn't exactly easy. For many, it takes a lot of guesswork, time, and lengthy experimentation. Thankfully, it doesn't have to be that way! In this case, science can actually help you get stronger. In fact, a study just published in the Journal of Strength and Conditioning Research is the perfect blueprint to boosting your bench. Rather than hypothesizing in this article about a chest-training protocol that may boost your bench press to some uncertain degree, I've got a research-backed, six-week plan to help you press more iron. The plan itself is based on what researchers discovered is the best way to improve the bench-press strength of college-age powerlifters, a group that was already highly trained. If you've been hankering to have the biggest bench press in your gym, you're in the right place. Read on to learn more about this bench-breaking research and what it can do for you! You can't judge a book by its cover, and the name of the study in question—"Modified Daily Undulating Periodization Model Produces Greater Performance Than A Traditional Configuration In Powerlifters"—doesn't really reveal any clues about the real nuggets the researchers unearthed. For that, I asked for help from Bill Campbell, PhD, FISSN, CSCS, associate professor of exercise science and director of the Performance & Physique Enhancement Laboratory at the University of South Florida in Tampa. 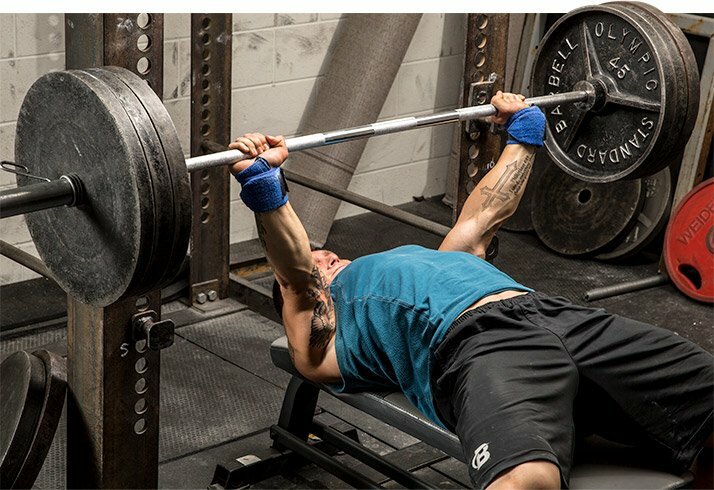 The bench press is done on every chest day, but it's done differently depending on whether you're emphasizing hypertrophy, power, or strength. "The science of resistance-training programming has advanced immensely over the past few years," says Campbell. "One of the consistent findings in the scientific literature is the superiority of daily undulating periodization compared to linear periodization. "In linear periodization, one major training outcome is targeted for months at a time. For example, there is typically a hypertrophy phase that lasts for two months, then a strength phase that lasts for two months, and then a power phase that lasts for two months," he explains. "In contrast, daily undulating periodization focuses on each of these training outcomes on a weekly or daily basis, thereby making sure that hypertrophy, strength, and power are targeted on a daily or weekly basis." "Dr. Michael Zourdas, a professor and researcher from Florida Atlantic University, is one of the leading researchers in the area of undulating periodization," says Campbell. "He and his research team recently compared the effects of two different daily undulating periodization programs and their effects on squat, bench press, and deadlift maximal strength in high-level powerlifters over a six-week period." According to Campbell, the group that trained for hypertrophy, power, and strength, in that specific order each week, had a more favorable outcome for one-rep-max (1RM) gains in the bench press than the group that trained for hypertrophy, strength, then power. So that's exactly how your six-week bench-press plan is programmed. Advanced Strength Stimulator. Designed to Maximize Strength Gains! Big Bench | Collosal Deadlift | Massive Squat Go Now! Based on these findings, your ultimate bench plan includes chest training three times a week—first with an emphasis on hypertrophy, then power, then strength—plus workouts for your other muscle groups. While you can move around "secondary" body parts, you should do the chest workouts on Days 1, 3, and 5, as shown, and not rearrange the order or days of those workouts. With a big bench, comes a thick, muscular chest. 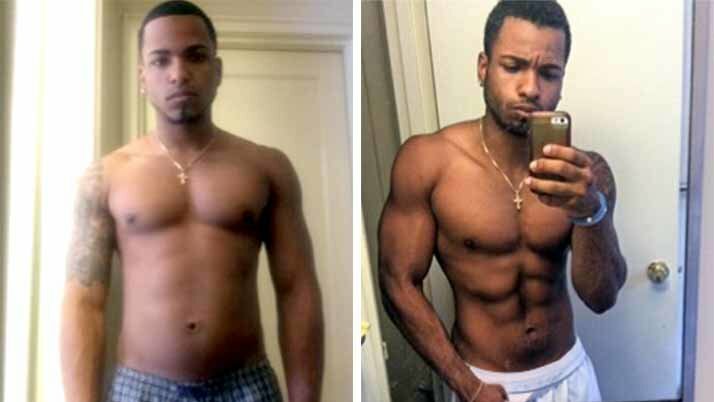 Just look at the changes the latest iSatori Hyper-Growth Challenge Winner Anwar Khanaizir Jr. made in 8 weeks while focusing on his bench. Your chest-hypertrophy workout should consist of 3-5 working sets of 8 reps with a progressively heavier weight of moderate poundage on the bench press. Here, you'll take a two-minute rest between sets. Your chest-power workout should consist of 3-5 working sets of just 1 rep with a fairly heavy weight that gets progressively heavier over the course of six weeks on just the bench press. Here, you'll take a three-minute break between sets. The chest-strength workout consists of just 3 working sets of as many reps as possible (AMRAP)—probably no more than 3-6—of a very heavy load that also progressively gets heavier over the six-week timeframe, again on the bench press. When training for strength, you'll take a 3-5-minute break between sets to ensure completely recovery. Following this three-times-a-week chest-programming model has been shown to significantly increase bench-press weight over the course of six weeks. Specific number of sets/reps and load are provided in the workout below. To complete your chest workout on each of those three days, add just one more assistance exercise—the incline bench dumbbell pull-over, flat bench dumbbell fly, or weighted dip—for 3 sets of 8-10 reps, choosing a weight you allows you to approach muscle failure but not reach it. Following this three-times-a-week chest-programming model has been shown to significantly increase bench-press weight over the course of six weeks. You'll also add another muscle or muscle group to complete after the chest training. For middle delts, choose two different middle-delt exercises like wide-grip upright rows and dumbbell lateral raises for 3 sets of 8-10. For triceps, choose 2-3 exercises done for 8-12 reps.
For biceps, choose 2-3 exercises for 8-12 reps.
For back and legs, train with 3-4 exercises for 3-4 sets of 8-12 reps. Note that shoulders aren't worked as a standalone body part. That's because there's so much focus on the chest that your anterior delts—a prime mover on bench presses—are already getting stressed three times a week. Instead of adding more shoulder presses, add specific movements for the other two delt heads with single-joint movements (as shown above). This program intentionally doesn't maximize volume or promote constant training to failure; its primary focus is on helping you make significant gains on your bench. So don't stray too far from its recommendations, because they're derived from the research. Clinically Proven Muscle and Strength Builder That Acts Like Fertilizer For Your Muscles! Go Now! 75% 1RM 75% 1RM Adjust weight by 0-10 lbs. based on performance; see "Determining Your Weights" Adjust weight by 0-10 lbs. based on performance; see "Determining Your Weights" Adjust weight by 0-10 lbs. based on performance; see "Determining Your Weights" Adjust weight by 0-10 lbs. based on performance; see "Determining Your Weights"
Rest 2 min. Rest 2 min. Rest 2 min. Rest 2 min. Rest 2 min. Rest 2 min. Rest 3 min. Rest 3 min. Rest 3 min. Rest 3 min. Rest 3 min. Rest 3 min. Rest 3-5 min. Rest 3-5 min. Rest 3-5 min. Rest 3-5 min. Rest 3-5 min. Rest 3-5 min. MR = do as many reps as you can with the given weight for all 3 sets. Each training goal for chest uses a different starting weight that's based on your one-rep max (1RM). If you know your 1RM, great; if not, use this one-rep calculator to determine your 1RM for any exercise based on how much weight you can lift for a specified number of reps.
For strength you’ll choose a heavier weight on the bench than what you’d use for hypertrophy. If you complete only 8 reps, keep the same weight the following week. If you complete 9 or 10 reps, increase the weight by 5 pounds. If you complete more than 10 reps, increase the weight by 10 pounds. For power, start with 80 percent of your 1RM, but do just 5 sets of 1 rep initially. For the strength workout, start with 85 percent of your 1RM, doing 3 sets of as many reps as you can get. Note: Once you reach your working weight on a given day, stay there for all sets; don't keep pyramiding it up for that workout. As the weeks progress, your working weights increase with all three programs, so check percentages listed in each column. As the weights go up, the number of sets you complete also starts to fall. Armed with this innovative program—or, rather, with this program in your training war chest—you'll be well on your way to a bigger bench press in just weeks! And who doesn't want a bigger bench? Focus in, plan your training, and expect your strength, power, and hypertrophy to skyrocket. CT Fletcher Signature Series! Designed for Game-Changing Intensity, Strength and Power With Unmatched Taste! Go Now!